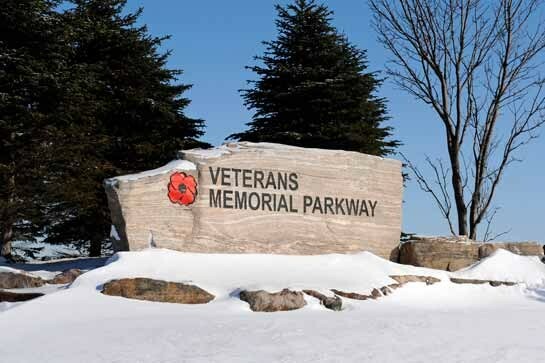 Veterans Memorial Parkway | Ron Koudys Landscape Architects Inc.
Veterans Memorial Parkway, a 9-kilometre multi-lane highway, is one of the main entry points into London from highway 401. 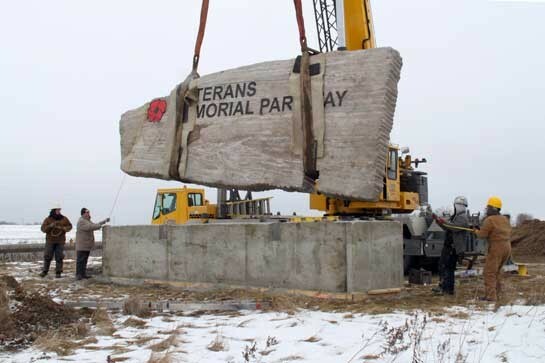 RKLA was retained by the City to undertake a landscape improvement program aimed at honouring Canada’s veterans and beautifying the highway. Working with both the City and various veterans and community groups, the firm developed a planting concept to shape the driving experience along the highway and provide a memorable and scenic introduction to the Forest City. 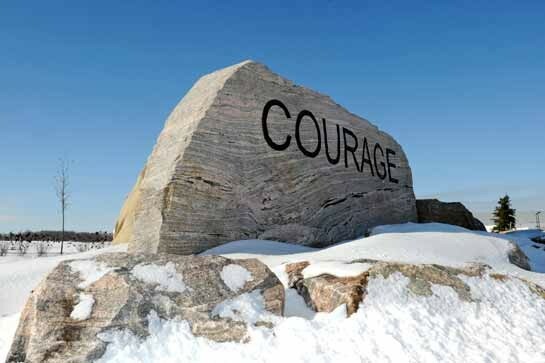 These plantings are punctuated by a series of stone landscape features incorporating words that reflect qualities we recognize in our veterans and also value as a society (e.g. 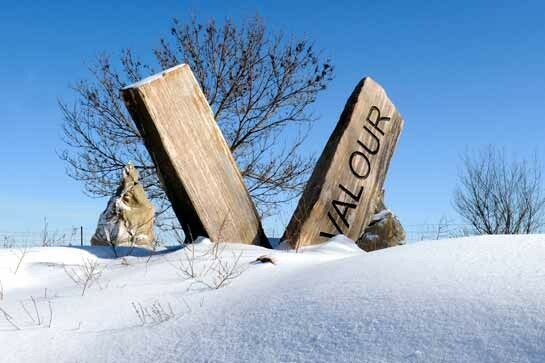 courage, honour). 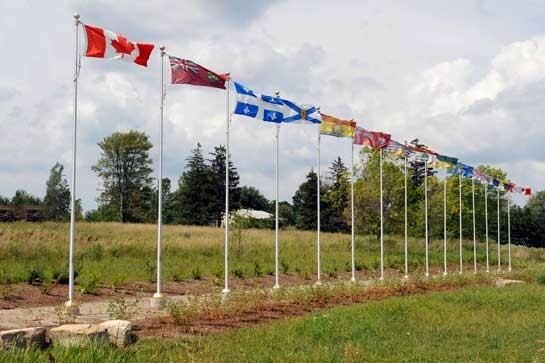 A flag feature including all the provincial and territorial flags establishes a connection to the greater community of veterans within Canada.